Out of all the new tech and protocols I’ve taken a look at — from WebRTC and 5G network speeds to AI and chatbots — none are as confusing as the concept of blockchain. 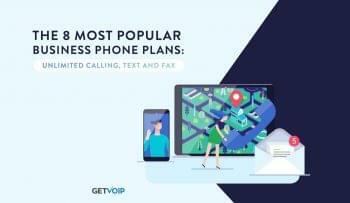 Some would even argue that nothing will make as large of an impact on VoIP, and the internet as a whole, as blockchain would. Now we’re all just speculating, but I wouldn’t be the first to liken the adoption of blockchain to that of TCP/IP and VoIP as a whole. This mysterious new technology has risen in popularity as the main process behind producing bitcoin, an entirely new cryptocurrency that isn’t owned or backed by one single entity, but rather a sprawling network and the worth that users place upon it. This all sounds kind of shoddy at first, but it was enough for major banking institutions to stick their nose in and start sniffing around. At this point, it seems only a matter of time until we start pushing blockchain practices into completely new industries. To understand how the blockchain technology might even impact VoIP and communications, we need to understand what blockchain is and how it works. 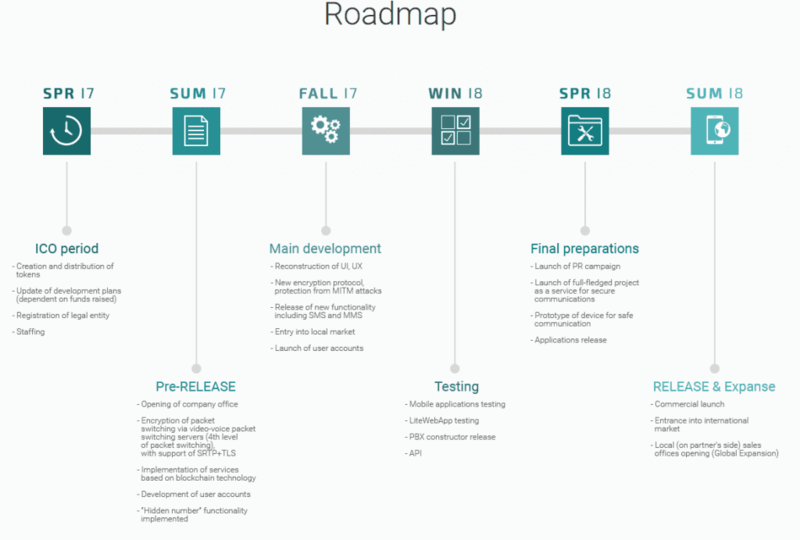 The process itself is a fairly simple concept, but the tech and development behind the scenes are far too complicated to go into detail. So, I’m going to try to keep this nice and simple so we can all make sense of the idea. Since the technology came to be as a method of verifying financial transactions, we’ll begin by looking through that lens. 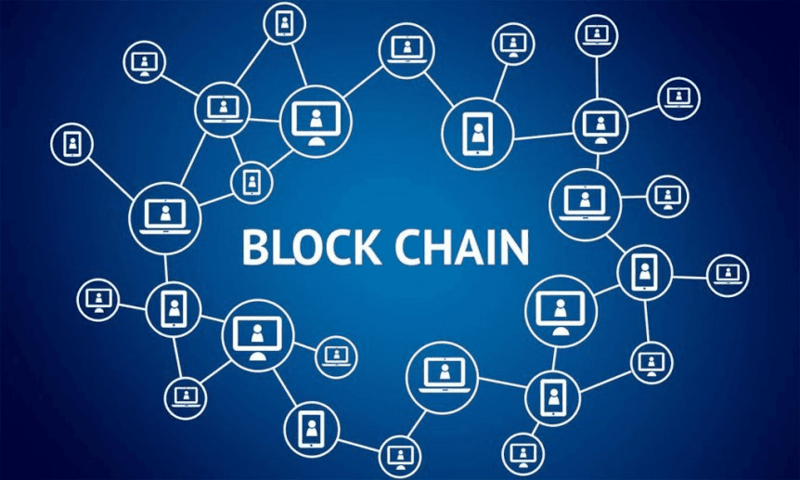 Blockchain was developed as a method to keep track of bitcoins and allow users to record, track, and verify the transfer of funds to and from each other. More importantly, though, it allows for the transfer and exchange of this currency without the need for a bank. Blockchain technology is a fantastic method of utilizing multiple points on a network each which create one and hold a single common version of “something” when completing “actions” on the internet. This co-existing common version is used to verify any transaction can and did take place. Now, this is incredibly generic, and is meant to be. We can substitute “something” and “actions” for a number of different uses. For bitcoins, blockchain is used to create a common version of a “ledger” to when completing “monetary transactions” on the internet. Even more interesting, these ledgers can be automated to trigger specific actions. The way we currently transfer money utilizes a central unit — a bank that normally keeps track of everyone’s information. Our banks keep a ledger of all current balances as well as incoming and outgoing transactions for just about every account. We only get to see our own account information; only the bank has access to everyone’s information. But this is what allows us to transfer money with trust: we put our trust in the bank to ensure our sender has the money, or the receiver actually received it. Banks verify the requested funds exist in an account, and deal with the heavy lifting of the transfer. Everything works because we can trust the bank to deny impossible requests — this is why a check will bounce if you do not have the required balance. And since we have a regulated and trusted source in charge of all this information, we can all feel safe that our money is handled properly. But this is exactly how blockchain shakes everything up. Instead of the bank handling the digital ledger, in a blockchain paradigm everyone holds a copy of a digital ledger. You may be wondering: “If the central bank neither controls the ledger nor ensures the legitimacy of funds, then who does?” Well, that’s the exact beauty of the blockchain. As I briefly mentioned above, blockchain utilizes a network of nodes; in the case of bitcoin these nodes are every single person who owns and uses bitcoins. Every single bitcoin owner has their very own copy of the bitcoin ledger. This is a massive document that has every single transaction ever made recorded on it. When one user transfers money to the other, this transaction creates its own unique “block” that contains some privacy information and encryption we’ll take a look at a bit later. But each block has its own unique digital signature that cannot be reproduced; this is how you ensure that each transaction is unique. When a transaction occurs, this block is simultaneously added to every single ledger in existence. Because every single user has a copy of the ledger, no one user can start creating or duplicating transactions. If the transaction is not found on every copy of the ledger in existence, then the transaction is fraudulent. Therefore, you do not need one central agency to verify the legitimacy and existence of funds or transactions. This is where things start to get really technical. Anyone who understands encryption will tell you the concept itself is a fairly simple one, but what goes on under the hood can be incredibly complicated. Now, to try to keep this accessible for those who do not have a computer science degree, I will gloss over the witchcraft under the hood. But I want to get the overall idea out there. To ensure that every single transaction is private, protected and trustworthy, just about everything in the blockchain process is encrypted. Therefore, though it may sound scary that every single person can see your account balance and transaction history, this isn’t exactly true because every single copy of the digital ledger is encrypted. Thanks to encryption, no user can peak inside and read the details; however, the correct user will be able to verify the authenticity of a transaction. Each signature requires both a private and public key to unlock and verify. The private key is the true password, but the signature is an intermediary that proves you have the password, without revealing what it is. Public keys are the “send to” addresses in bitcoin. So the system has to verify that you are the true owner of the public key, which is done by generating a private key when sending a message. Other nodes then use this signature to verify if it corresponds to the public key. This is all done with math, or witchcraft. Since the signature depends on the message, it will be different for every transaction so that it cannot be reused for a different transaction. This is how you know things weren’t just copied or modified. So each transaction, or block, is encrypted with its own digital signature. Just like the signature on a check, the signature is unique and cannot be reused or reproduced for another node or transaction. For example, if John sends five bitcoins to Sally, John’s digital signature will produce an encrypted “key.” Sally, as the recipient, will receive a verification “key” to unlock the code that John is sending her. Before the transaction occurs, though, every single ledger on the network is updated with this new transfer of funds — except they aren’t just updated, but also checking the validity of the transaction. Every single ledger looks into the past, and first ensures that John even has five bitcoins to send. This is done by looking through John’s transaction history to ensure he did in fact receive enough bitcoins at some prior point. If everything checks out, every single ledger is updated with the new transaction and balances of both John and Sally’s account as well as the transaction. Since this transaction had its own unique identifier, it cannot be reproduced nor duplicated. Now this may not be the exact sequence of events, but it’s the overall concept of what’s going on and how it works. We can verify and complete transactions without the heavy lifting and bookkeeping of a bank by having every single node on a network keep their own copy of an encrypted record and history of transactions. We no longer need one specific central agency to handle it all. This can both increase security — since its thousands or millions of points checking and not just one — as well as the overall speed. Financial institutions have been spending sizable investments into blockchain technology for 10 years now, to understand how it works and how they can apply it to their own use. For the banking industry, blockchain is seen as a massive disruptor and an entirely new mythology to handle two major aspects: contracts and transactions. This is seen as a “foundational” concept, one that has the potential to completely change our current economic and social paradigm. No longer will we need paper copies of everything, and hand written, notarized signatures to verify legitimacy. If the technology takes off, we’d longer need a bank to store, validate and authorize every single transaction we make. But that’s the reason this is so disruptive: it’s a new foundation that completely re-engineers the processes we use in our day-to-day lives. And this will absolutely cross over into the communications industry as well, not just financial and legal matters. What’s interesting to me is that the same Harvard Business Review article cited above likens the disruption and development of blockchain to that of TCP/IP’s on the telecommunications industry. As we know, TCP/IP gave birth to VoIP and the protocols that power it, including SIP and H.323. And yet, blockchain has the potential to change that even further. 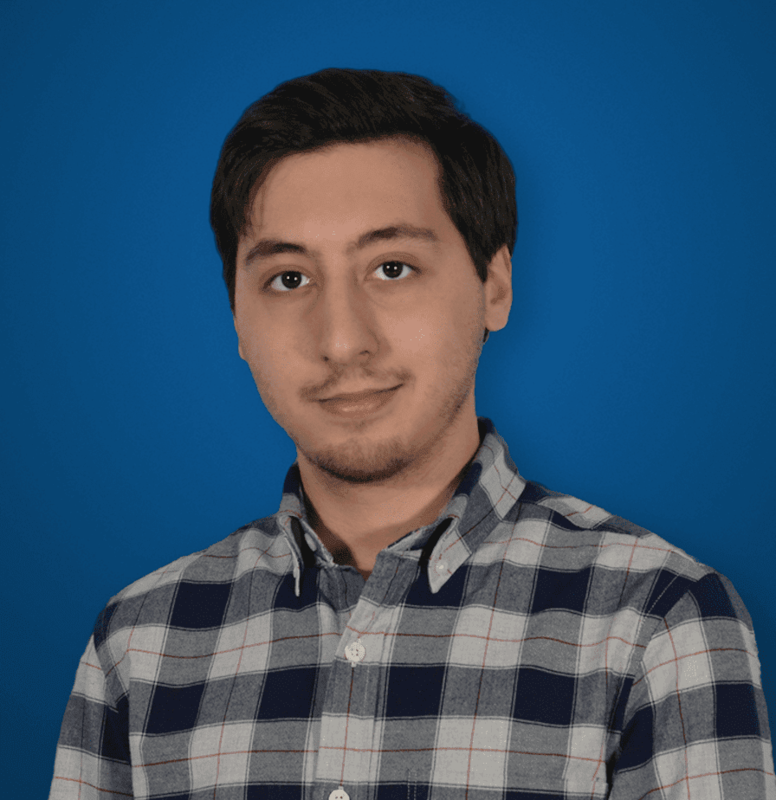 Now, blockchain is still years out from becoming a new standard, and to discuss its potential is really just speculation at this point. We can’t be certain how this technology will be used, or developed even further. But, one of the easiest places to see blockchain’s potential to innovate VoIP would be the authentication process. About a year ago, Chris Vitek wrote a post on Nojitter which discussed this very topic. But blockchain introduces a completely new method of authentication, one that does not require an SBC to act as a gatekeeper, or a phone carrier in the middle to authenticate callers. Taking it even further, blockchain will remove the need for a carrier in between just about any method of communication. 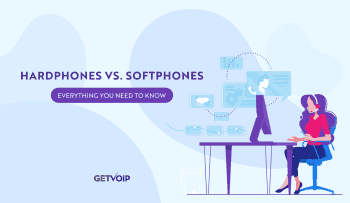 And, as Vitek puts it, “if blockchain is good enough to secure banking transactions, then it is surely good enough to support telecom authentication.” And we all know how badly VoIP can use some beefed up security. So the idea proposed is that blockchain can revolutionize and improve what is otherwise a convoluted, complicated authentication process in current telecommunication. A year ago, this was speculation. But fast forward to April of 2017, and we now have a real example to point to. 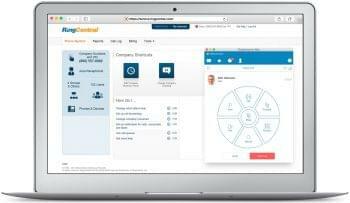 EncryptoTel has popped up as a “softphone infrastructure with blockchain-based VoIP communication.” Essentially, the provider promises to allow users of different hosted PBX sources to place encrypted, secure VoIP calls, as well as access popular messenger apps. 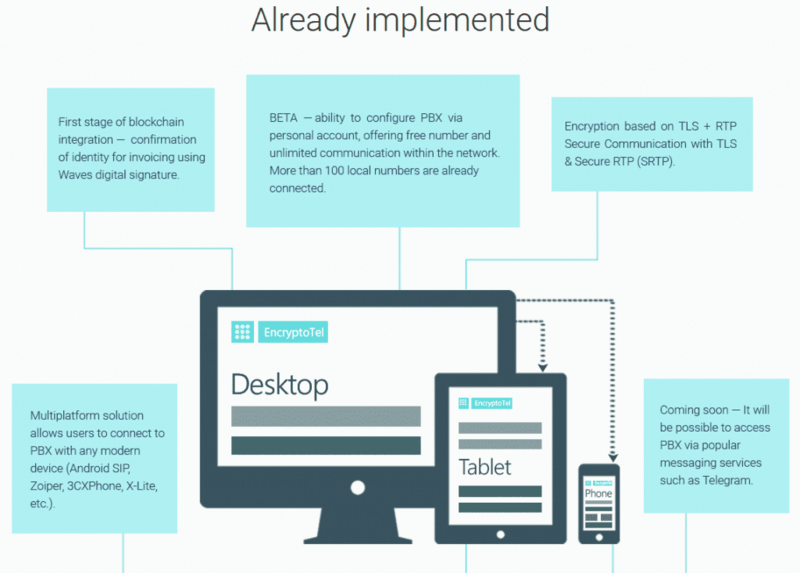 To put that into English, EncryptoTel is looking to operate as a Hosted PBX provider that is able to dispense phone numbers to users anywhere in the world, but with an underlying blockchain infrastructure to secure and provide authentication to communications. So even EncryptoTel is a year or so away from producing a completely usable solution, but it hints towards the fact that this might actually be a legitimate use-case of the technology. However, I am personally skeptic and one to take everything with a grain of salt. 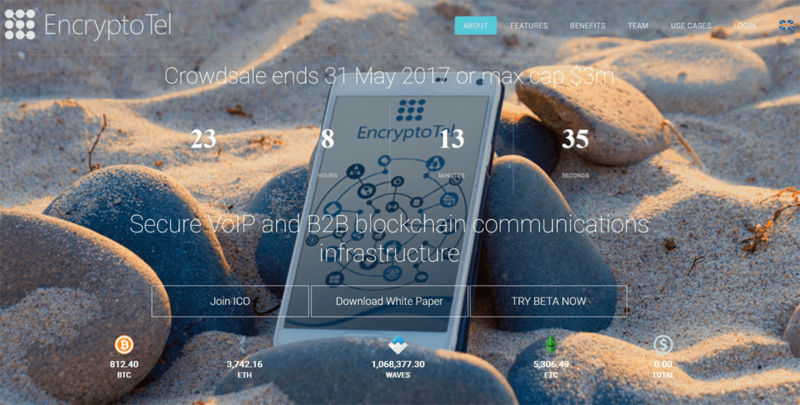 It is worth noting that EncryptoTel explains their combined experience in blockchain, SIP, PBX and the Telecom industries, but as it stands this is seems as if it is mostly a proposed idea at this point. I’m in no way advocating this solution, but I thought it was incredibly interesting to highlight as a possible real world example. This could just be a ruse to source a lot of crowd funding and not deliver, but I’m not the one to make that call. However, it is worth noting that even the Harvard Business Review article we took a look at before makes a different point. The big “but” in this article is that we’re are still years away from blockchain taking over — the whole concept is a foundational one that can change our economic and social systems, the authors argue. But, they say it will take decades for blockchain to seep into our current economic and social infrastructure. This transition also took many generations – it saw many new businesses rise and eventually take advantage of this technology. We see this now in the explosion of Hosted PBX providers that are now some of the leading telecom providers in the country. So it is possible that EncryptoTel is already one step ahead of the pack, building a solution with a blockchain foundation. What is not questionable is the fact that blockchain has the massive potential to disrupt a massive number of operations. However, it never hurts to remain skeptical. It does seem like VoIP, and communications as a whole, should be up with the financial sector as well, if not very soon.